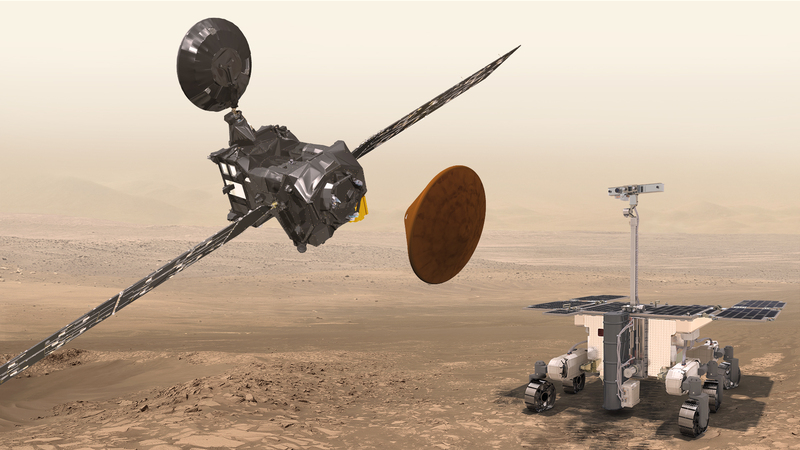 After a seven month journey, the ExoMars spacecrafts launched by the European Space Agency and the Russian Federal Space Agency, or Roscosmos, will finally approach Mars today. The goal of the ExoMars spacecrafts is to determine whether or not there has ever been alien life on the Red Planet. On Sunday, the two spacecrafts went their separate ways as Trace Gas Orbiter (TGO) and Schiaparelli lander began the final phases of their missions. Around 9AM ET, the TGO will slow down in order to enter Mars’s orbit while the Schiaparelli lander will be on its way to land on the surface of our planetary neighbor intact. Schiaparelli will begin its descent from 75 miles above Mars’ surface at 10:42AM ET, where the vehicle will then rely on its parachute and thrusters to land it smoothly onto the surface. You can watch the entire live stream from ESA below, beginning at approximately 11:40 AM EDT.